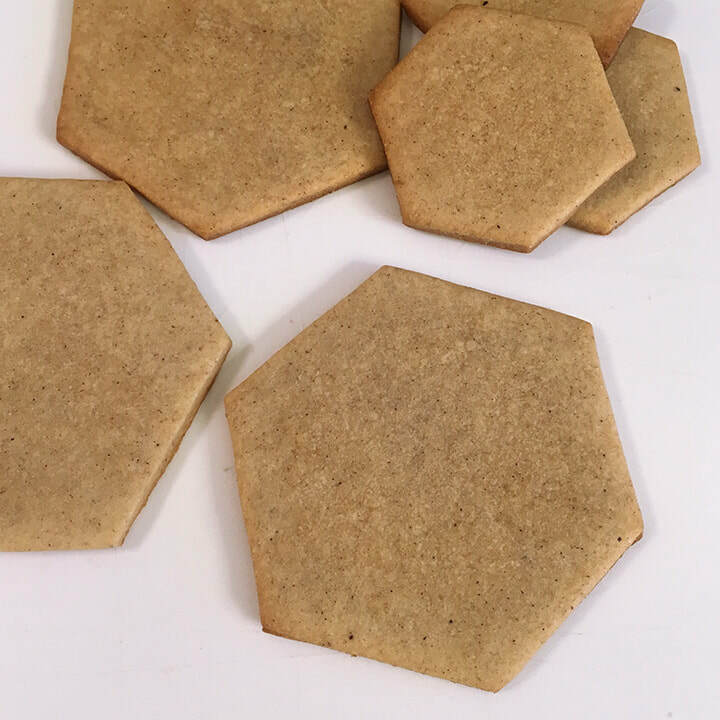 Cut out your cookies! You can use whatever cookie cutter you'd like. If you don't have a particular shape, a homemade paper stencil and knife work perfectly. Freshly baked! Yum. 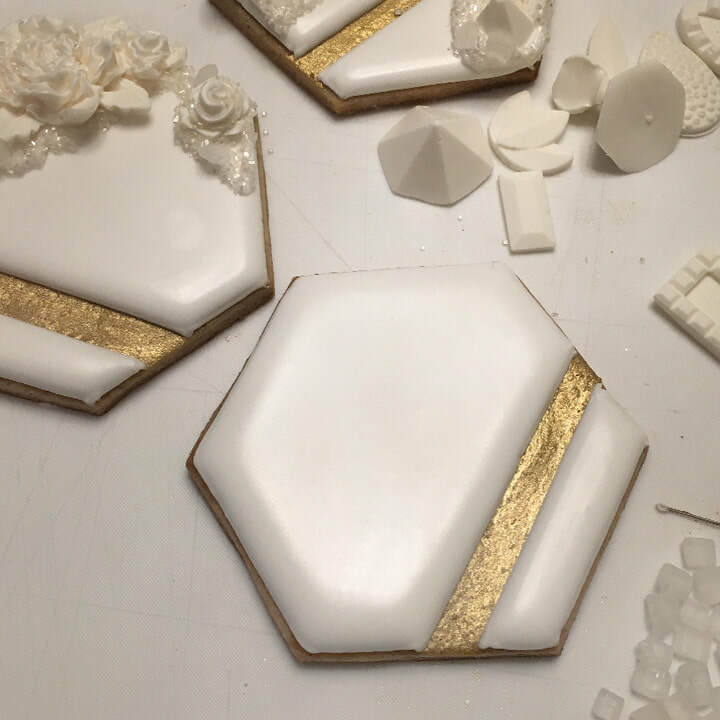 Set these aside for now so you can prepare your candy molds! Melt your white chocolate or Wilton Candy Melts. When you melt the Wilton Candy Melts, be VERY careful to follow the melting instructions. They burn extremely easily. 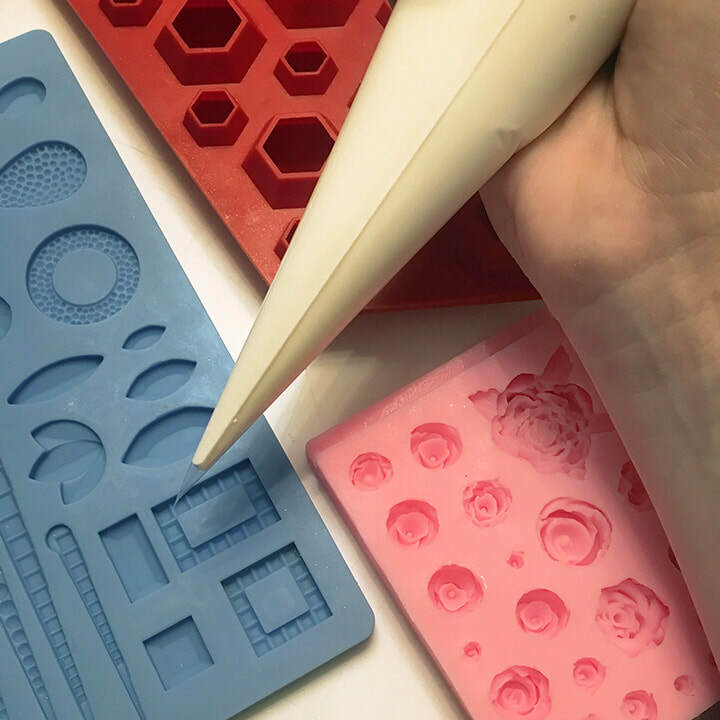 Fill a piping bag with your melted goodness and pipe into your mold shapes. 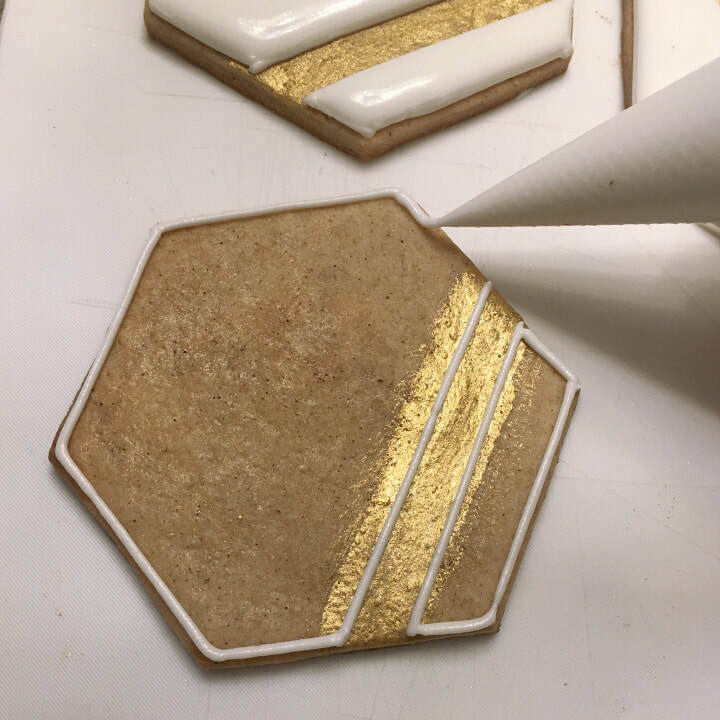 While your candy melts or chocolate is hardening in the molds, start decorating your cookies with a stripe of gold! I absolutely recommend piping and flooding consistency here for the most precise lines and corners, and smoothest surface! 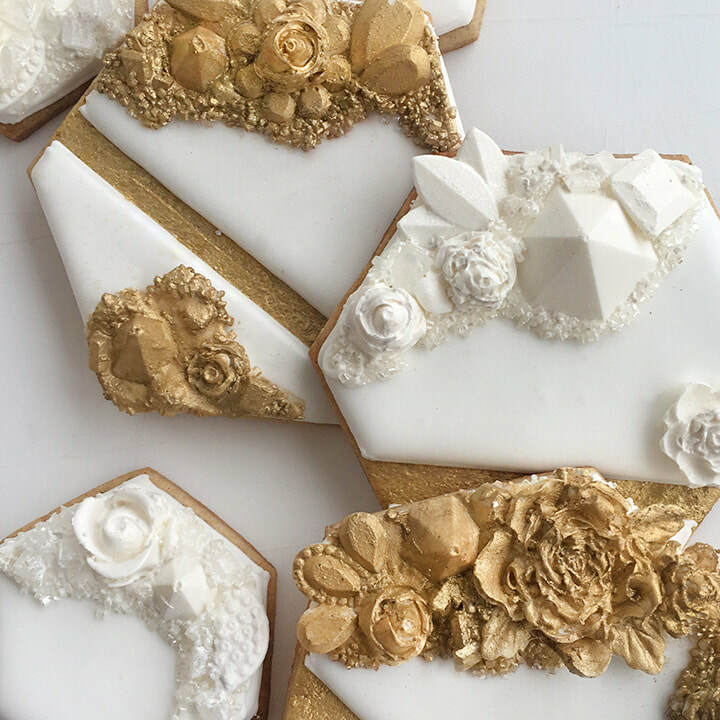 Wait until your icing has fully dried before you start adding the molds and crystals. You don't want to crunch down on some semi-dry icing! 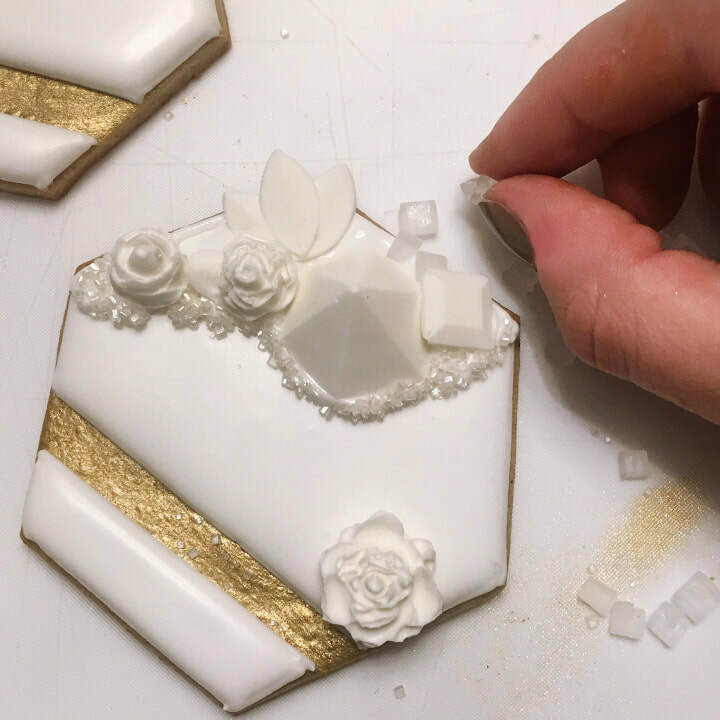 Use the piping icing to outline the shape of your decorated crystal/nugget area. 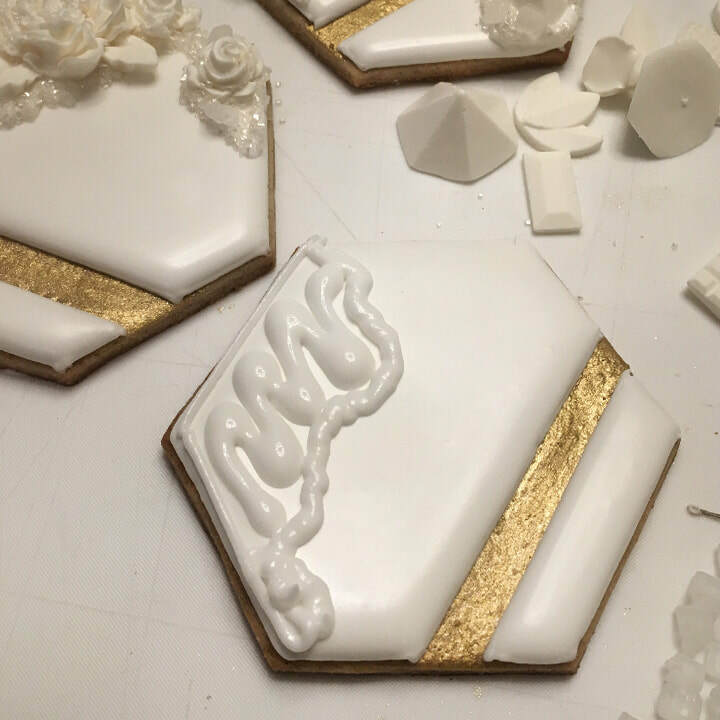 I messed up here and forgot to add the sugar crystals to the piped border before adding flood icing to the middle. Once you have your crystal border, and lightly flooded inside, you can place your candy molds and sugar crystals! I really like to pile mine up. And you can use your piping icing as a glue to stick your candy pieces on top of other pieces. Large rock crystals are next! Wherever you have room to stick them. After that, I do another dusting of small sugar crystals to stick to any exposed wet icing. 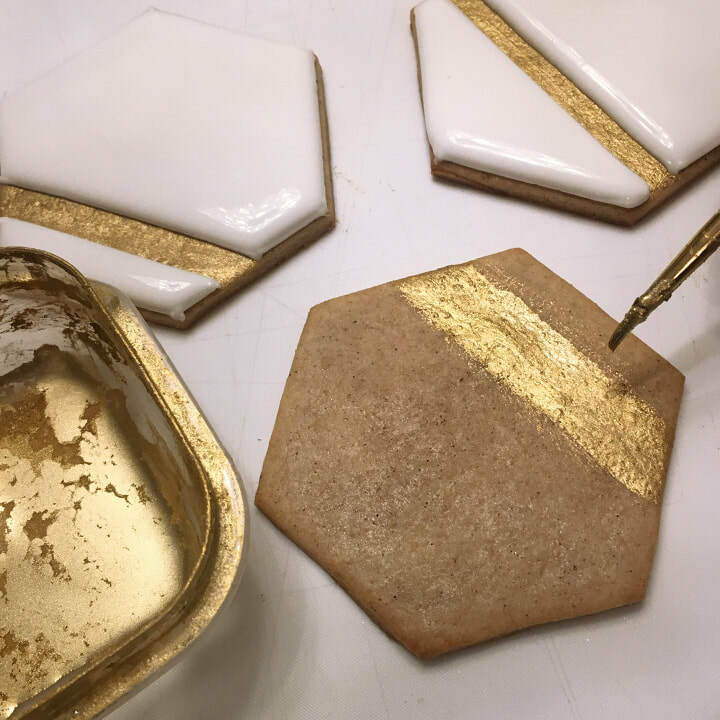 Once the icing is dry and all your pieces are dried in place, you can paint it with a mixture of Gold Lustre Dust and Vodka! 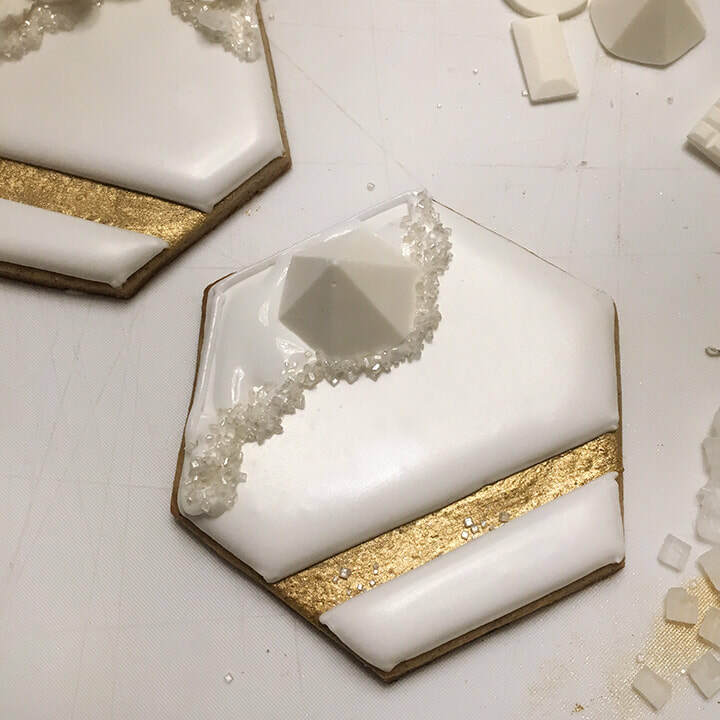 It's tricky to get it to stick to waxy chocolate and candy melts, so you may need to add a couple thick coats and wait for each coat to dry in between!